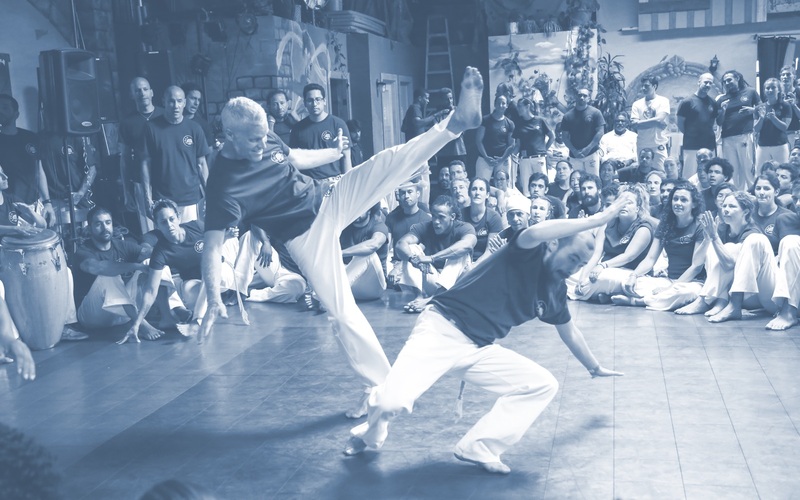 Click here to visit the headquarters of the United Capoeira Association in Berkeley and to learn more about the UCA and our legendary Mestre Acordeon, Mestra Suelly and Mestre Ra. Instrutor Embauba began training capoeira in 1996 and is an endorsed instructor of the United Capoeira Association. Under the guidance of Mestra Suelly and Mestre Acordeon, Embauba has led Capoeira Bend with passion since its inception in February 2015. " I embraced capoeira initially for its incredible uniqueness in human society. My appreciation and reverence for the art form grew as I better understood capoeira's roots and philosophies, its ability to create local and global community, and its possibilities in bringing freedom to anyone from their steady cycles of routine thought and movements. I am grateful for all the Mestres/as and students who have brought light to my capoeira path and feel the immense privilege and responsibility to inspire this community and represent capoeira with authenticity and respect to my Mestre/a and the United Capoeira Association. Muito Axe!"